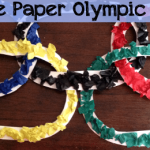 Olympic Rings Craft and Memory Printable! I am having one of those weeks when I just cannot focus. Maybe it is the two snow days that we had…even though there wasn’t a drop of snow or ice on the ground or in the air. Last night we watched the opening of the Olympics and the first thing my daughter did after running around with her Olympic torch like a maniac was to pull out the craft box and decide to make the “pretty bracelets” aka- Olympic Rings to go with her “princess necklace” aka-Olympic Gold Medal. 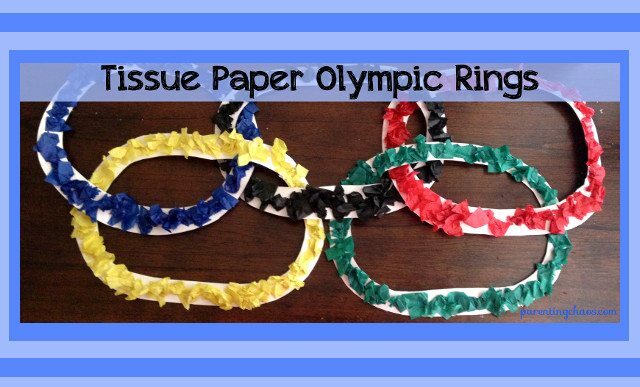 These Olympic Rings are super easy to make plus they have the added fun of getting to crumple, tear, and smush paper. Talk about fun! Tissue Paper Squares (I used pre-cut tissue paper from Oriental Trading, but you can see how to make your own here). 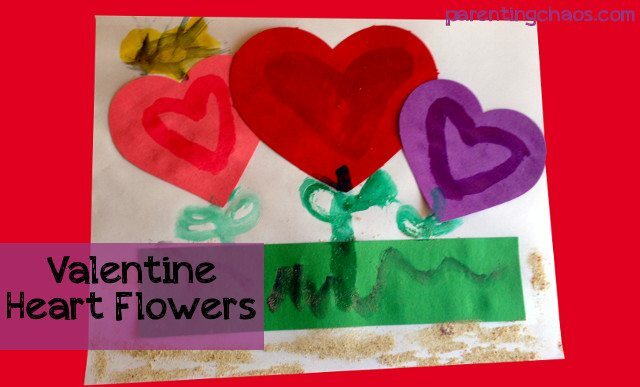 The one thing that we did that made this craft easier was fold the paper in half to cut out the rings. This made it so we didn’t have to pull out an X-Acto knife to get the inside out and the kids were able to do it themselves. After that I drew circles around the rings since we have been working on how much glue is needed when using glue from a bottle. By drawing out the dots kids are given a visual aide. It helps if you turn it into a fun rhyme to reinforce what they are learning! 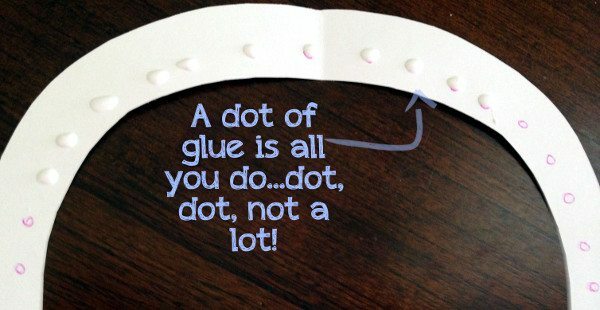 A dot of glue is all your do! 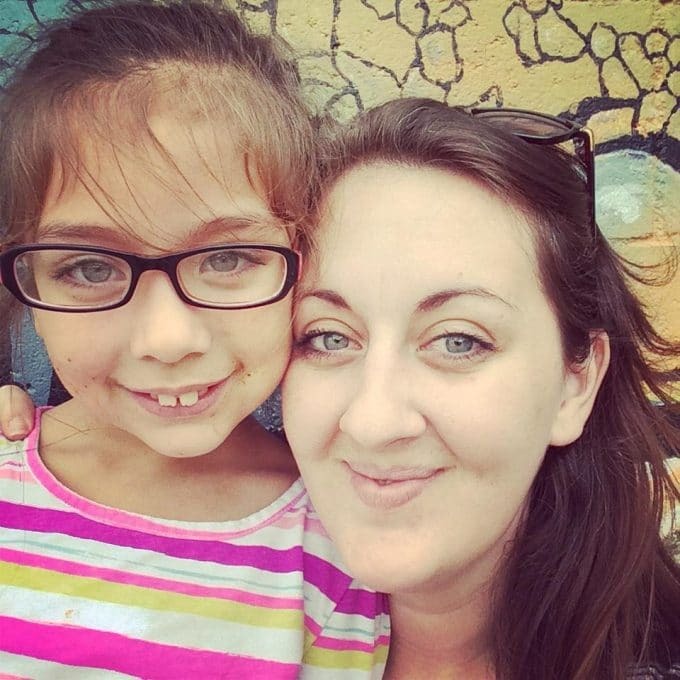 Dot…dot…not a lot! 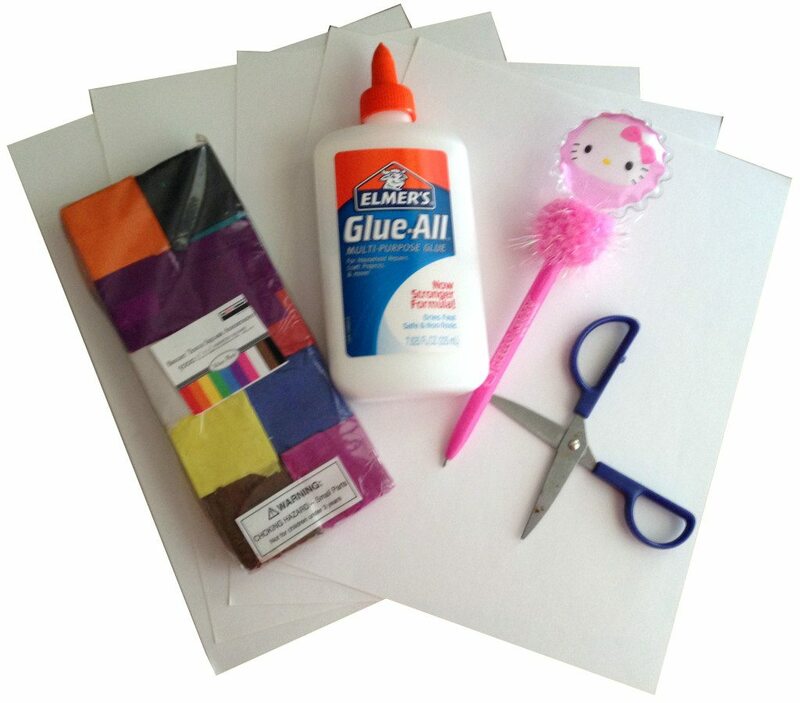 Then crumple, rip, smush the tissue paper squares on to the glue and allow to dry. Once Olympic Rings are dry cut a slit and loop them through each other. You can secure them either with glue or a stapler. We did ours with glue and looking back a stapler probably would have been A LOT easier. Cut out rings by folding paper hot dog length and cut out two semi circles one within the other. 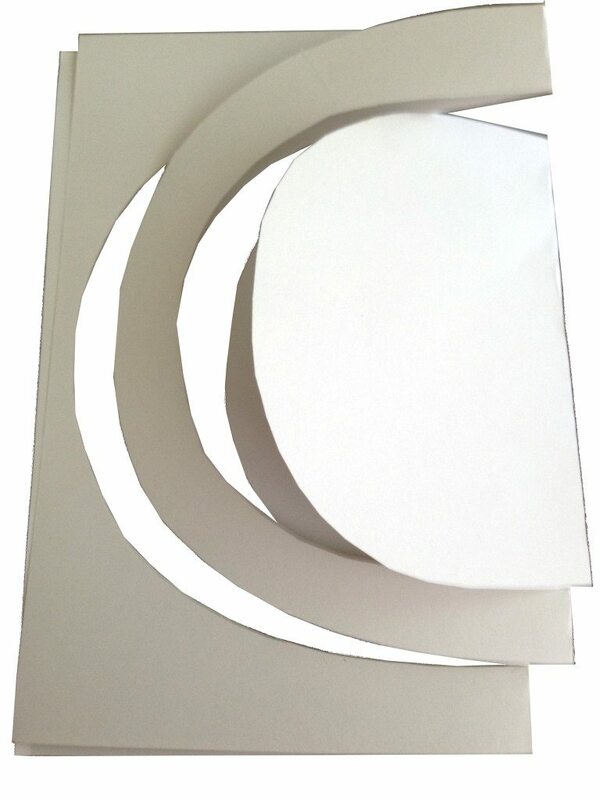 Unfold the cut out circles and draw small circles around the rings. 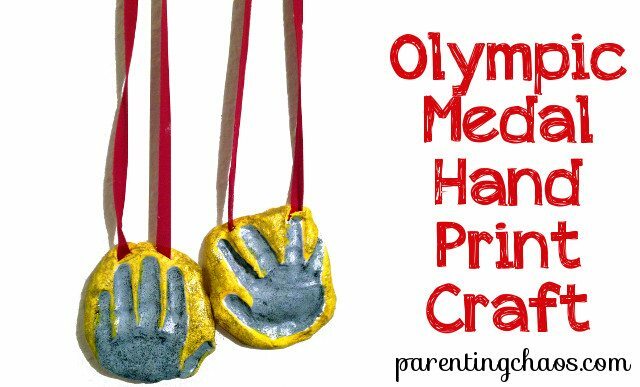 Hang and show off your Olympic Rings! 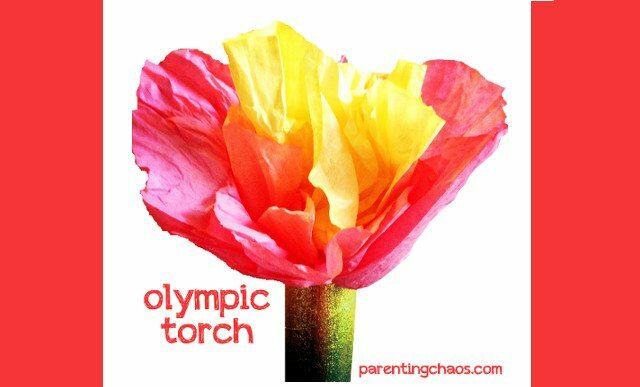 A Fun Game to Go With the Olympic Rings Craft! 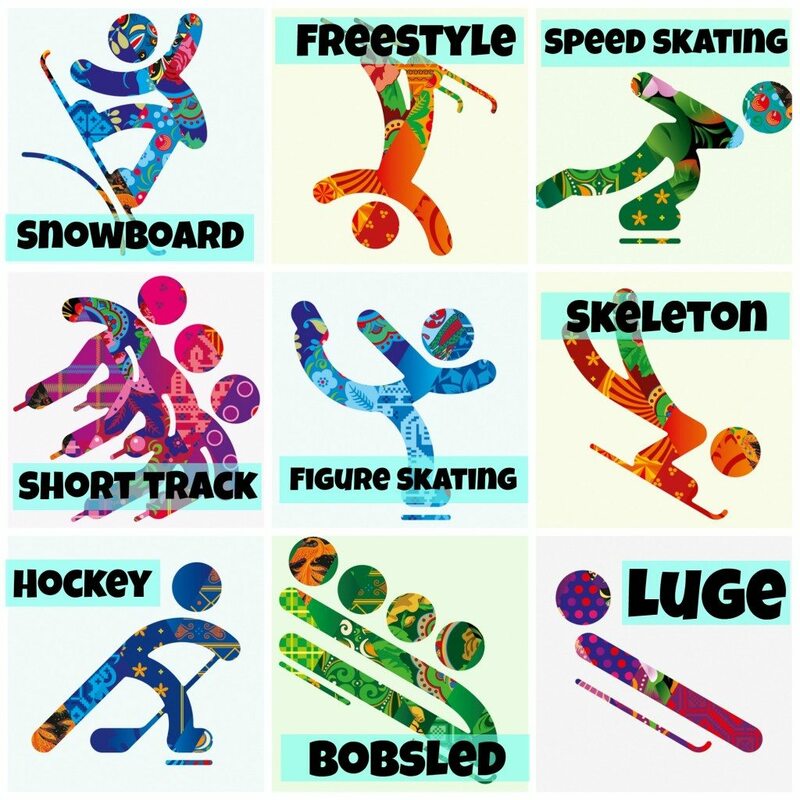 If you are needing another wind-down activity after the craft is finished check out these printables for Olympic Memory! 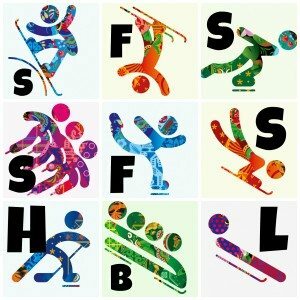 Each card features a pictogram from the 2014 Winter Olympics in Sochi along with the letter and name of the sport on corresponding cards. 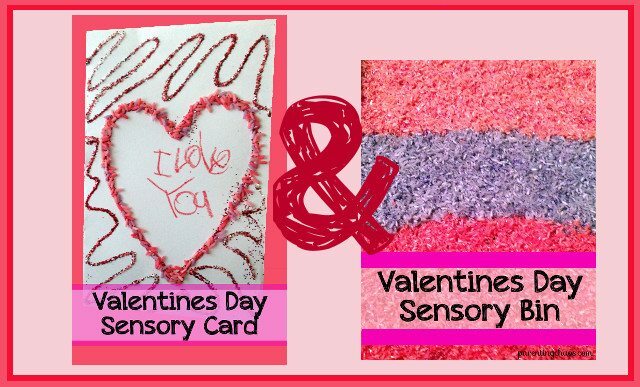 These cards can be used for letter recognition, memory enhancement, and learning new sport words! The download provided is 8X8 so it can be printed on regular printer paper. 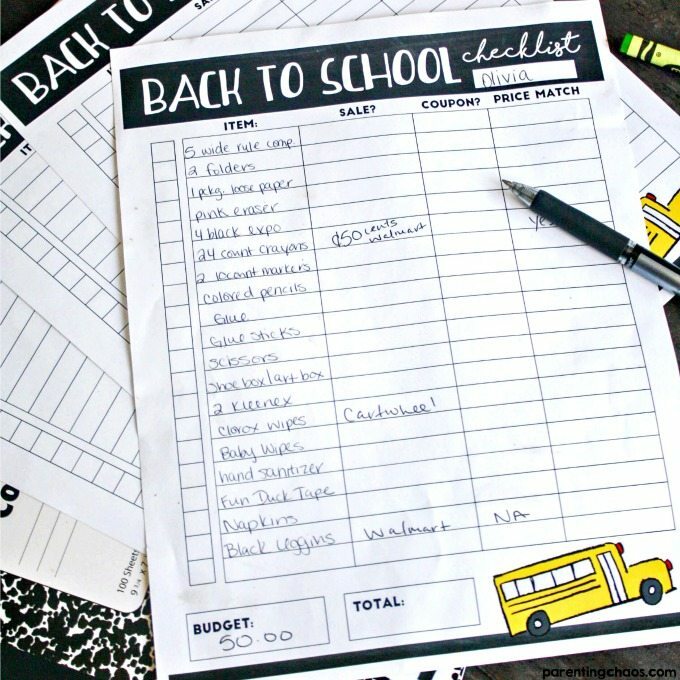 Save Money on Back to School Shopping with This Printable!